Stuck for ideas? Things to do over the summer during your stay at the Tranquil Otter? Cumbria is a playground of relaxation, fun, adventure, great food, superb hospitality, unique culture, fresh air and mesmerising scenery. With such a variety of things on offer over the Summer, it can be difficult to decide things to do. Here is a short list of things that you could do over the Summer when you come and stay at The Tranquil Otter. Who’s it for: Lovers of Beatrix Potter and the outdoors in general. What’s it about: Whinlatter, England’s only true Mountain Forest, is home to stunning views, fantastic walks, exhilarating mountain biking, rare wildlife and adventure play. Whinlatter is home to some different attractions such as the Go Ape Climbing Course, Mountain Bike hire, Forest Segway, Nordic walking taster sessions and so much more. 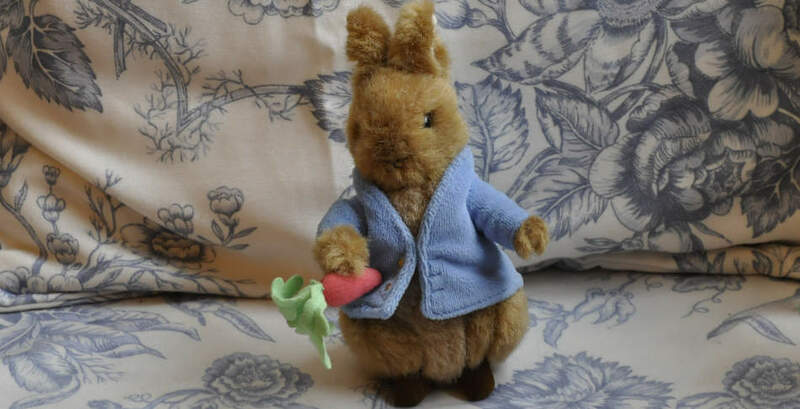 However, 2016 is the 150th anniversary of Beatrix Potter and over the course of the weekend you can try your hand at pond-dipping at Jeremy Fisher’s home, look for signs of Squirrel Nutkin and Mrs Tittlemouse on a short walk in the forest, or join in with some crafts. Who’s it for: Children and adults who are young children at heart. Lovers of Lego, building and making things. What’s it about: The Rheged Centre – a great destination for families who enjoy food, the outdoors and arts & culture. Every year, Rheged puts on a summer festival based around a theme to engage young and old alike. Last year, it was Minecraft and this year the theme is LEGO The main exhibition over the summer is Bricks in time. Travel back in time with an interactive LEGO exhibition and discover models made by professional LEGO Artists, which bring to life some of Britain’s important historical turning points. Highlights include an exclusive eight-metre-long model of The Flying Scotsman, a giant diorama of Saxon life, Beatrix Potter and her creations, Tudor monarchs and a large model of Lowther Castle, all bustling with mini figures and LEGO characters dressed in period costumes. You can also get involved with LEGO brick building activities, from racing your wind-powered train, creating a model for a zip wire, to constructing catapults and creating family portraits in LEGO, before testing your skills against the professionals in a timed building challenge. Throughout the summer, there are also special LEGO-based events such as Mad Science – LEGO MINDSTORMS Workshop, Farming Fun with LEGO bricks and Special showings of the LEGO movie in 3D on the biggest screen in Cumbria. What’s it about: Cumbria’s award winning family attractions with indoor and outdoor play. Learn about and interact with a whole range of animals, enjoy the outdoors on diggers and tractors, range rovers and more. Now for a week in July enjoy the National Festival of Circus too. Online booking available from the Walby Farm Park website. Who’s it for: Fans of a bygone age. What’s it about: Formed in 1972 by a group of enthusiasts passionate about preserving all exhibits from the past to do with the steam heritage. A gathering of over 1,000 entries of a huge selection of machines and artefacts representing all aspects of preservation and restoration. Although The primary emphasis is on Steam, there is a lot more for the family to enjoy including the Sheep Show, Pantonic All Stars steel band, lawnmower racing as well as special events on each day of the Gathering. http://www.csvvs.org.uk – Historical Photos of past Steam Gatherings. Who’s it for: Fans of the the Great Pottery Throw Down, lovers of arts and crafts. What’s it about: Since it’s beginning in 2001, Geoff and Christine Cox have always been aware of the owed of selling pottery directly in the community. They got the inspiration for Potfest from selling themselves in an inter nation ceramics festival in the early 1990s. This year around 130 potters will be taking part in the event. The result is an exciting mix of the sophisticated and the raw power of the next generation. If you want to learn more about pottery and potting there will be demonstrations from the potters in attendance, as well as free hour-long classes for adults to encourage you to take up pottery for the first time. Who’s it for: Lovers of the Outdoors, sports, mountains, food and all things rural. What’s it about: The Lowther Show has become one of the staples of the Cumbria Summer since its inception. The show brings together world-class sporting championships, top-class demonstrations, stands and lots more. 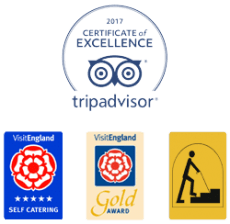 It is a fantastic place to take the whole family to sample the very best of what the Great British countryside has to offer. Over the weekend, events include the Lowther Horse Carriage Driving Trials, the Lowther Hound Show, Taste Cumbria Food & Beer Festival, Lowther Fishing Island and the Lowther Trail Run. http://www.lowthercastle.org – Further Information about the castle and grounds.